Today’s guest blog post is from Marci Shadd, a portrait photographer located in rural northern California and owner of the Click and Bloom Photography studio. She is happily married to her high school sweetheart, is in awe of her two amazing sons, and works passionately each day to cultivate a life well lived. Welcome, Marci! When you think of northern California you probably think of San Francisco, and the wineries of Napa and Sonoma. All are gorgeous, amazing locations! But, what you might not know is that the heart of northern California runs deep within the small rural farming communities north of Sacramento. Think rice farming, Friday night football, and simple small-town living. Growing up in one of these towns has its advantages and disadvantages… everyone knows your business, and you’ll probably graduate with a few of your best friends from Kindergarten. Like many of these towns, sometime in the early 70's growth seemed to stop. Larger towns surrounding them helped to fill the need, and small mom-and-pop stores weren’t as profitable as they used to be. Doors closed, spaces were used as personal storage units, and they were locked up tight, left to crumble without proper maintenance. My hometown was very much the product of such abandonment. I grew up in Biggs, a small rural community off the thoroughfare of Hwy 99 between Sacramento and Chico, California. Biggs found itself with a main street commercial block of great potential, but was hampered by boarded up, abandoned buildings. The owners of these lots weren’t interested in selling or maintaining them, and they were left to crumble. Several years ago, the city leaders decided that this was no longer acceptable and begin enforcing regulations that were already in place, but rarely invoked. Owners were asked to fix broken and boarded up windows, address safety concerns, and basically maintain these eyesores. As you can imagine, several of the long-term owners were a bit testy about being forced to make the repairs. Some complied, others opted to sell their property. Many of these properties hadn’t been put on the market for more than 50+ years. This is where our own life took a turn, and we became a part of something bigger than we expected. 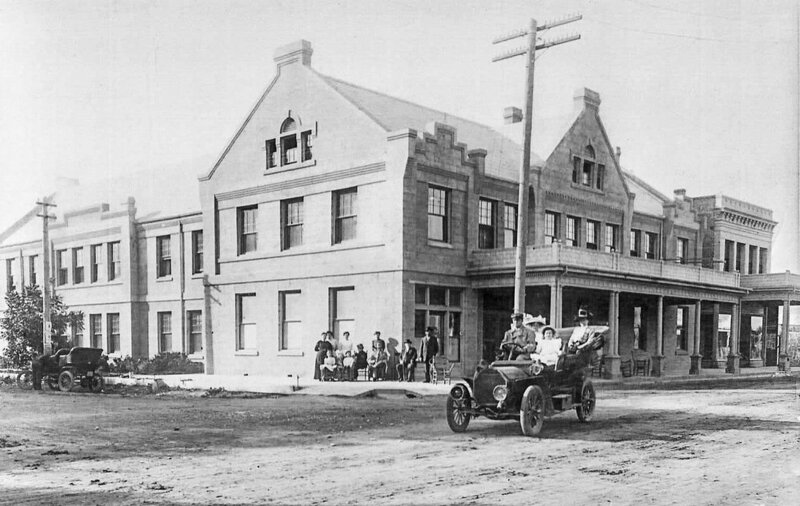 The most prominent and somewhat dreary of the downtown buildings was once known as the Hotel Colonia. 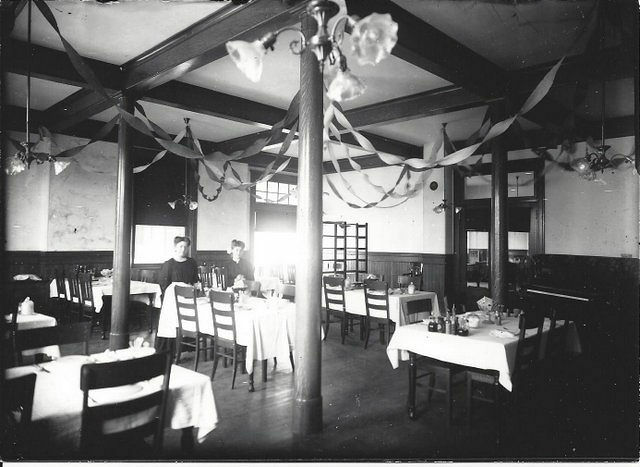 Built in 1905, it was the cornerstone of social life in Biggs for many years. This contemporary hotel of its time sported 33 rooms and a restaurant. It was a gathering place for clubs, dances as well as hosting famous singers and movie stars of years past. Said to have housed a whiskey still beneath its floors, stories run rampant of historic lore from some of the more creative patrons of the past. For a history buff like myself, it was simply perfect. 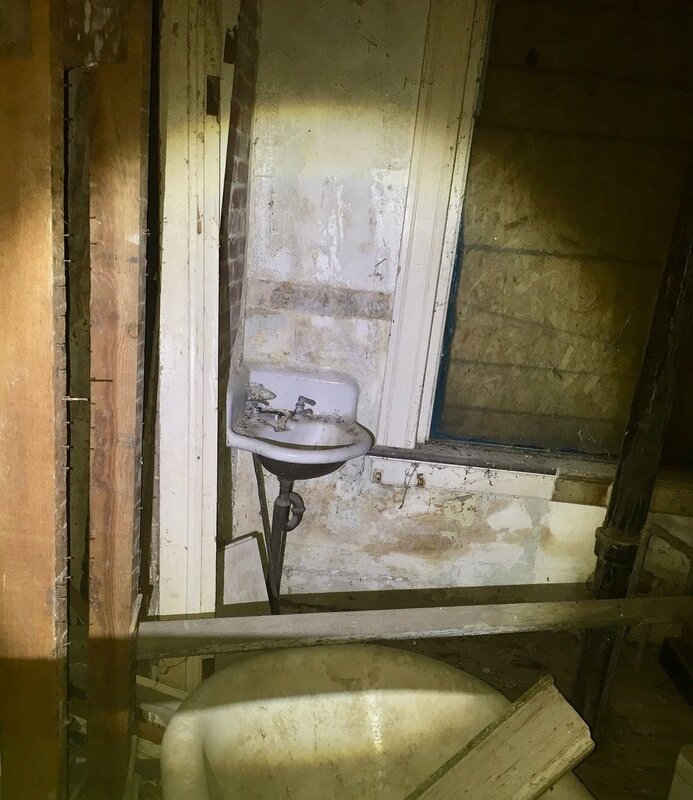 From the crumbling walls to the secret back staircase, it all appealed to me… so much so that when it surprisingly went on the market I made an appointment to see it, if only to see what she looked like on the interior. It was apparent instantly that history seeped from the filthy, aged crevices. With flashlights we tenderly walked from room to room, watching for missing flooring and broken glass. The rooms were full of trash and discarded old construction materials, as well as random pieces of furniture. It was December and the walls were chilled, with a dampness from the rainfall outside. We couldn’t see much with the boarded-up windows but were amazed as we poked around… finding old bottles and holes in the floors. Surprisingly there were no spiders or rodents anywhere! I guess being unused from the late 80’s on didn’t leave much for them to feed on. I was in love with it instantly; my husband, not so much. I saw the glorious windows waiting to be opened. He saw the cost of repairing all those windows. We balance nicely that way. After a bit of time we decided to make a low offer, and eventually, we ended up getting the call that we were the owners of the big old building for half the asking price. You might say that we were shocked, and slowly left wondering what the heck we were going to do with this beast of a building? We certainly weren’t handy people. I mean sure, I have a set of pink tools, but this job was bigger than the both of us! We own a small trucking company, a red-worm farm, and I’m a photographer, so we don’t exactly need one more project to fill our days. Little did we know that this small transfer of ownership was going to start a sense of revival through our small town in ways that we could never expect!